The Tennessee Tax Free Weekend 2013 is upon us. It’s that time of year where Knoxville residents get to take a weekend break from the local 9.25% sales tax, and make essential back to school purchases. Beginning Friday, August 2nd and running through Sunday, August 4th, the Tax Free Holiday allows consumers to buy school supplies and clothing without the 9.25% sales tax. It also brings in increased business for local retailers. Residents of Tennessee can take advantage of the Tax Free Holiday 2013 by purchasing up to $100 in clothing or school supplies without paying the sales tax. Also, computers $1,500 and under, are also valid to be purchased without sales tax. For questions regarding what items qualify as tax free, the Tennessee Department of Revenue provides a detailed list of items on their website. During the weekend, customers are able to buy items needed for the back-to-school season at a price that is nearly 10 percent cheaper. Many retailers also offer additional promos that give customers an even better discount than the item just being tax free. 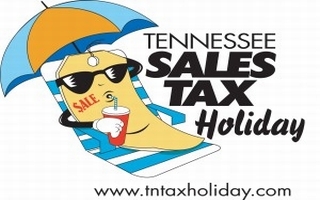 This year will be the seventh annual Tax Free Holiday in Tennessee. The back-to-school season is the second biggest spending event for retailers, behind holiday shopping in December. The Tax Free Holiday 2013 begins officially at 12:01 a.m. on Friday, August 2nd and ends at 11:59 p.m. on Sunday, August 4th. Many retailers in Knoxville extend their hours for the event. West Town Mall and Knoxville Center Mall are open on Friday from 9 a.m. to 11 p.m, Saturday from 8 a.m. to 11 p.m. and on Sunday from 11 a.m. to 7 p.m. Tanger Outlets in Sevierville are open Friday and Saturday from 8 a.m. to 10 p.m and on Sunday from 10 a.m. to 7 p.m.
Tax Free Holiday is great for residents in Knoxville as well as Knoxville businesses. It happens the first weekend in August every year to allow residents a break from the high sales tax and allow them to purchase items that are needed for the going back to school. What will you be purchasing during Tax Free Weekend 2013?